The summer is flying by and in July we made huge strides in growing MySwimPro. You can see our highlights from June here. Without further adieu, here is a behind the scenes look at what we were up to in July 2018! We were so pumped to see MySwimPro featured on the Home Page of the Apple App Store on July 7, 2018! It gave us a huge boost in exposure and as a result we on-boarded a massive amount of new swimmers to the platform. 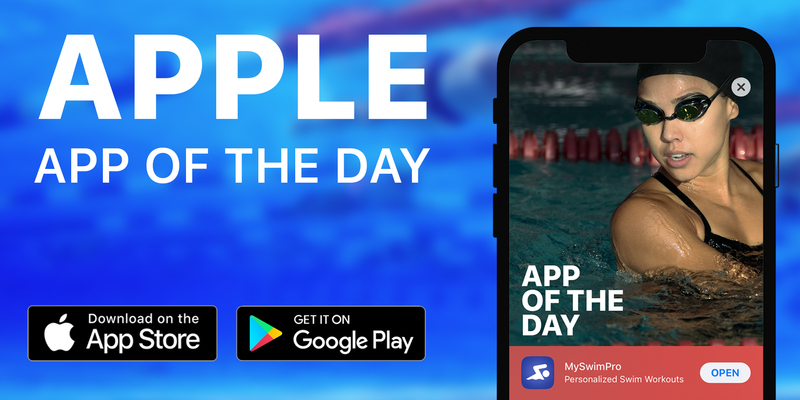 In addition to being featured as the App of the Day, MySwimPro was listed among the Top Apps for Serious Swimmers. We had an exciting week in Orlando, Florida at the UANA Pan American Masters Championships. The competition spans 19 days, bringing adult participants and their families from South America, Central America, the Caribbean, Canada and the USA to Orlando, Florida! Over 2,500 athletes from over 40 national federations were represented at the championships. 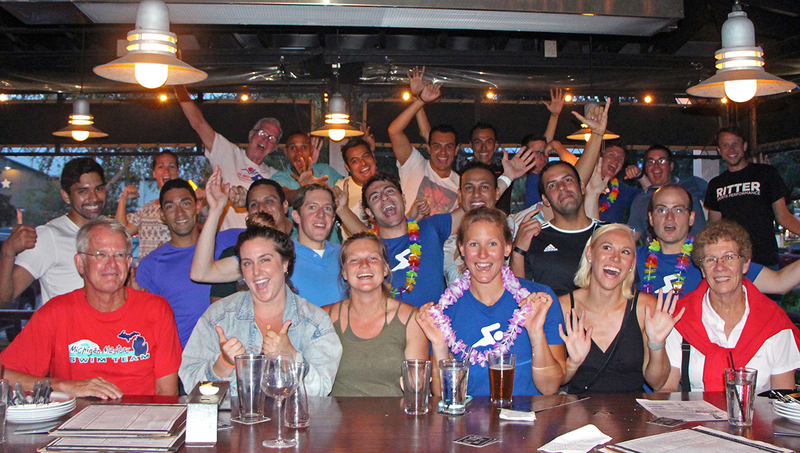 We also held a meetup for our community members and it was great to sync up with our fans from across the Americas! In July I had the opportunity to speak with some of the fastest swimmers from around the world. If you’re interested in being a part of this weekly show, please let me know!! Chris is a masters swimmer and entrepreneur. He is the CEO of AquaLabs and in this interview details how he trained in an endless pool in the months leading up to the Pan American Masters Championships. Chris also discusses the impact of teaching kids how to swim in Panama and how swimming can be a form of meditation. Dale Neuburger is the Vice President of FINA (International Federation for swimming) and serves as the President of UANA (Union Americana de Natacion). He is also the Director of TSE Consulting with a client list that includes the United States Olympic Committee and 22 of its National Governing Bodies. He was Assistant Chef de Mission for the U.S. Olympic delegation in Athens and President of United States Aquatic Sports. 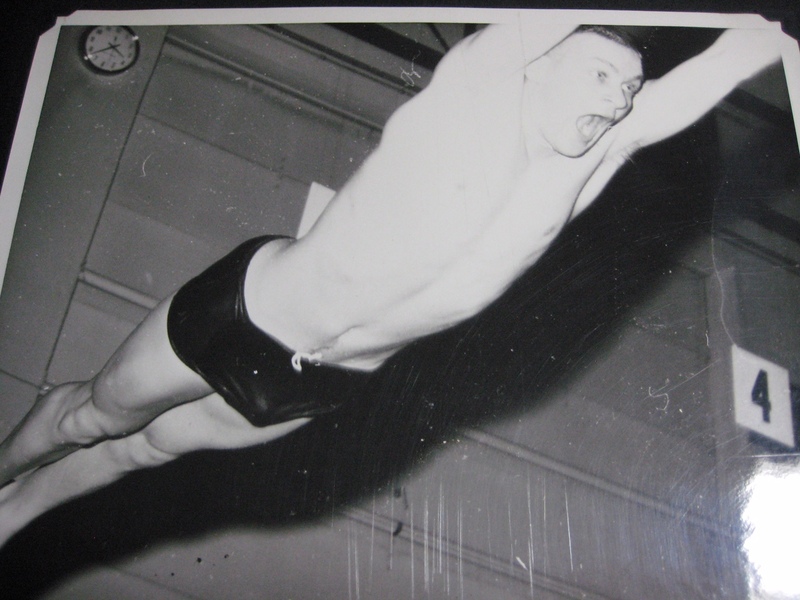 Bill Putnam Jr.’s story of how he won a gold medal at his first race in 41 years! His story is inspiring and overviews how he overcame two types of cancer, plus rotator cuff surgery to come out on top with a 1st place finish at this year’s Missouri Senior Games. Hear how MySwimPro is helping him train! Drafting is a technique that’s well understood in race car driving and cycling. In swimming, the effect can be just as big because water is 800x more dense than air and there’s significantly more resistance in the water than on land. Open water swimming is a fun and exciting sport. One of the reasons it is very different from pool swimming is the concept of drafting. This is where you align yourself with another swimmer(s) to reduce the overall effect of drag due to exploiting the lead swimmer’s slipstream. SWOLF isn’t perfect, but it’s a solid way to measure improvements in stroke efficiency over time. Sometimes it’s hard to compare stroke count and time if you swim in different pool lengths. Efficiency fixes this problem, so you can compare apples-to-apples in different pool lengths. If you sometimes swim in a 25 yard pool, and sometimes in a 50 meter pool this is what you’ll want to look at. Using data to help you understand your swimming performance is one of the most efficient ways to help you improve in the water. With advances in wearable technology, the most important metrics can be tracked automatically and used to your advantage. I completed the workout below wearing the Apple Watch Series 3 running the MySwimPro App’s Workout of the Day. The intervals on the workout were automatically personalized to my swimming level using the Dynamic Intervals module in Workout Settings. Are you looking to learn more about MySwimPro, join the team, help us grow? Feel free to shoot me an email at fares@myswimpro.com! I m interested to know what data is available from AppleWatch 2 if i do a straight 1km freestyle swim? the free version is limited, so what info is available from the premium subscription? Good question, Phil! With the Apple Watch we can detect your distance, overall time, heart rate, strokes per lap, SWOLF score, and splits.